Step out of the city life by going to Mokolodi Nature Reserve and Khwai Concession. 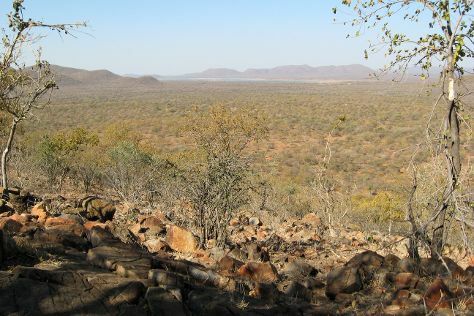 Spend the 3rd (Sat) exploring the stark beauty of Khutse Game Reserve. Pack the 4th (Sun) with family-friendly diversions at Lion Park Resort. Next up on the itinerary: tour the pleasant surroundings at Gaborone Game Reserve, relax and rejuvenate at some of the best spas, stop by Botswanacraft, and pause for some photo ops at Three Chiefs' Statues. For maps, traveler tips, reviews, and tourist information, you can read our Gaborone trip builder tool . Milan, Italy to Gaborone is an approximately 22.5-hour flight. You'll lose 1 hour traveling from Milan to Gaborone due to the time zone difference. When traveling from Milan in August, plan for cooler days and slightly colder nights in Gaborone: temperatures range from 9°C by day to 9°C at night. Finish your sightseeing early on the 7th (Wed) so you can drive to Serowe. Serowe is a town in Botswana's Central District. Step out of the city life by going to Khama Rhino Sanctuary and Moremi Gorge. Step out of Serowe to go to Palapye and see Letsatsi Casino, which is approximately 1h 10 min away. It doesn't end there: take an in-depth tour of Khama III Memorial Museum. To see traveler tips, reviews, photos, and more tourist information, you can read our Serowe holiday planning site . You can drive from Gaborone to Serowe in 3.5 hours. Alternatively, you can take a bus. You'll set off for Nata on the 10th (Sat). Nata is known for parks. Your plan includes some of its best attractions: stroll through Nata Bird Sanctuary. To find maps, reviews, where to stay, and other tourist information, refer to the Nata travel itinerary planner . Traveling by car from Serowe to Nata takes 5 hours. In August in Nata, expect temperatures between 31°C during the day and 17°C at night. You will leave for Makgadikgadi Pans National Park on the 13th (Tue). 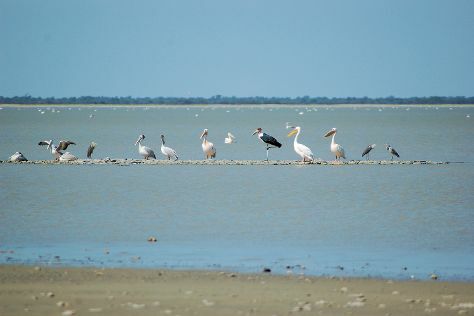 Escape the urban bustle at Makgadikgadi Pans National Park and Kubu Island. 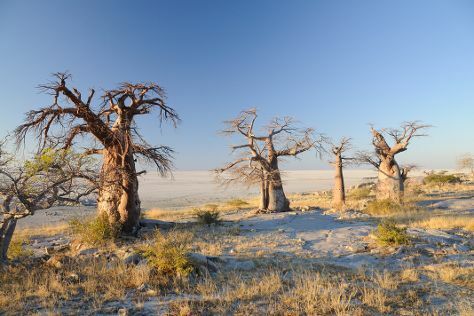 Explore Makgadikgadi Pans National Park's surroundings by going to Baines Baobabs (in Nxai Pan National Park) and Planet Baobab (in Gweta). To see other places to visit, traveler tips, reviews, and other tourist information, use the Makgadikgadi Pans National Park trip itinerary planning tool . Use the Route module to find suitable travel options from Nata to Makgadikgadi Pans National Park. Finish up your sightseeing early on the 17th (Sat) so you can travel to Chobe National Park. Step out of the city life by going to Savute Reserve and CARACAL Biodiversity Center. To see photos, maps, and more tourist information, go to the Chobe National Park trip itinerary planning app . Explore your travel options from Makgadikgadi Pans National Park to Chobe National Park with the Route module. Wrap up your sightseeing by early afternoon on the 21st (Wed) to allow enough time to travel to Ngamiland East. 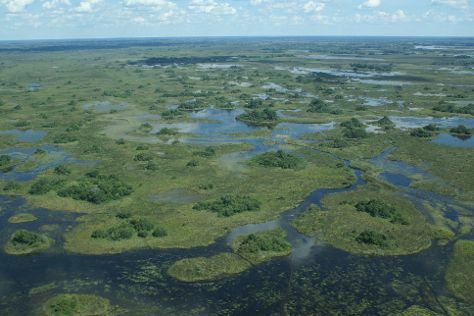 Get in touch with nature at Okavango Delta and Okavango River. Step out of Ngamiland East to go to Moremi Game Reserve and see Moremi Wildlife Reserve, which is approximately 1h 05 min away. To see maps, ratings, traveler tips, and more tourist information, read our Ngamiland East trip builder tool . Explore your travel options from Chobe National Park to Ngamiland East with the Route module. In August, plan for daily highs up to 34°C, and evening lows to 13°C. Finish your sightseeing early on the 25th (Sun) to allow enough time to travel back home.